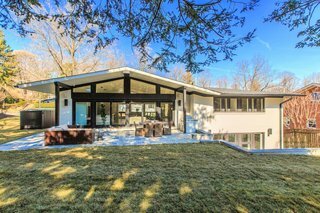 This recently renovated midcentury home is bright, open, and full of high-end finishes. 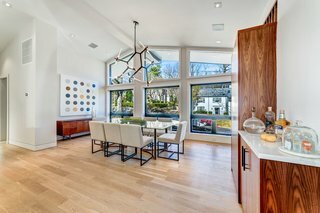 Located in the quiet Washington, DC, neighborhood of Forest Hills, just steps from Rock Creek Park, this late-1950s home features classic midcentury lines and a breezy open-plan layout that brings light and an airy sense of space to its freshly renovated interiors. The glazed facade is broken up by classic midcentury lines. 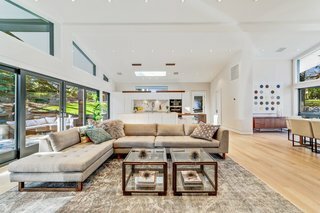 The open-plan great room is bright and airy, with a modern feel that nods to the home's midcentury roots. 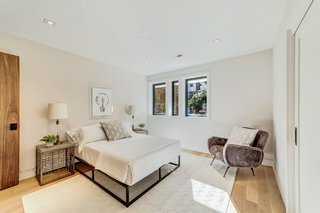 In fact, according to the listing, everything in the 4,100-square-foot home is brand-new except for the structure's original brick envelope. 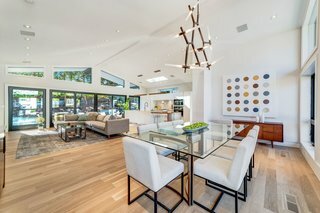 The interior updates were designed by Akseizer Design Group and executed by Coba—with careful attention paid to detail and high-quality finishes throughout. The renovation was designed by Akseizer Design Group and executed by Coba. 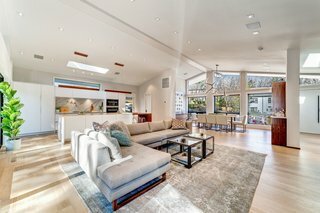 The main living space features a 12.5' vaulted ceiling. The branched chandelier above the dining table is from France & Son. Elegant bronze frame by Barcelona-based Mermelada Estudio dreams up a modern interpretation of a vintage bed. 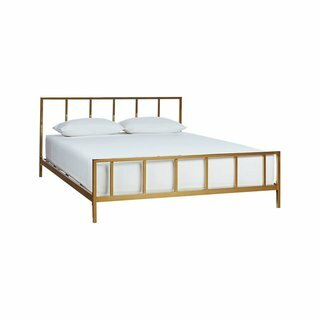 Spare, linear design aligns bronze-plated iron rods from head to footboard on a low-profile frame. Mattress sold separately. 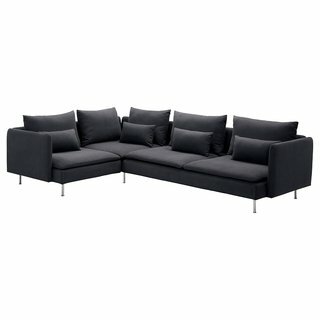 Agnes is an elegant design, featuring a modular anodized aluminum structure with articulated joints. 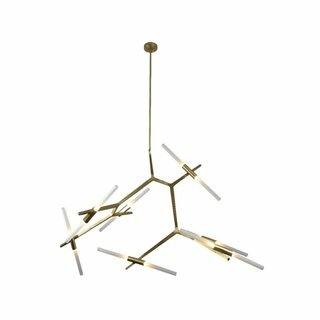 Articulated joints allow for the lamps to be rotated to irregular angles or be arranged vertically in a church-like state. 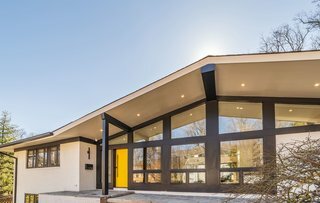 The two-level home features five bedrooms and four-and-a-half baths, as well as signature midcentury features such as a vaulted ceiling and a wall of windows with sliding glass doors—for indoor/outdoor living during the capital city's warmer months. 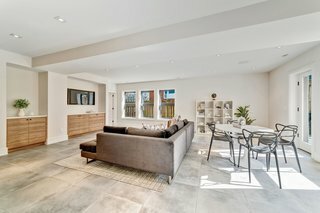 Sliding glass doors open to a private rear garden for indoor/outdoor entertaining during the warmer months. 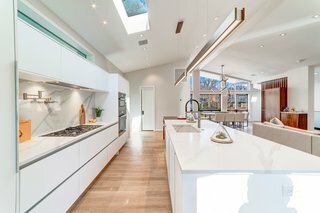 The open kitchen features a large center island, an overhead skylight, and ample storage. 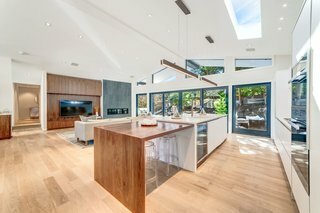 A wooden extension to the kitchen island provides additional dining space. All of the light wood flooring is new. 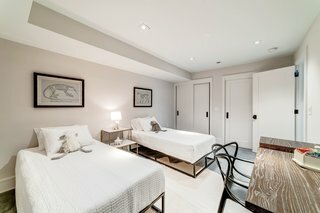 The master suite is located on the main level and has a large walk-in closet. 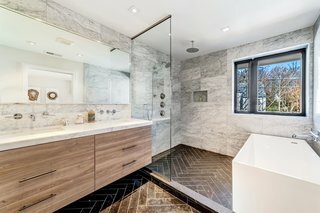 The en suite master bath features luxe marble-clad surfaces that include Carrera marble countertops and Piatra gray herringbone marble floors. There is also a deep soaking tub. One of the additional bedrooms. The entrance and stairs leading to the lower level. 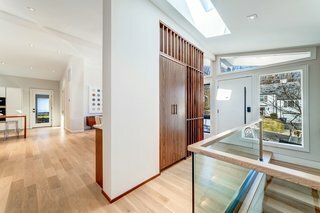 The lower-level family room has a wet bar, a kitchenette, and doors leading to the backyard. 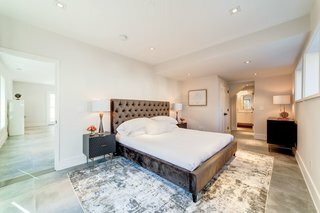 The lower-level bedroom suite has its own private entrance. There is also an additional guest room on the lower level. A look at the backyard. 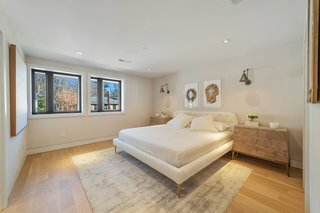 2908 Ellicott St. NW, Washington, DC is listed for $2,695,000 by Robert Hryniewicki, Adam T. Rackliffe, and Christopher R. Leary of HRL Partners at Washington Fine Properties.